Looking for a cranberry juice mocktail recipe? Look no more! 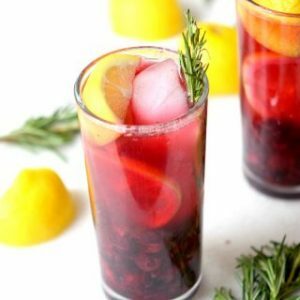 Try this Cranberry & Rosemary Mocktail Recipe, a perfect blend of holiday fun with the requisite cranberries, ginger, and lemon to create an all around delicious, sippable and striking drink. 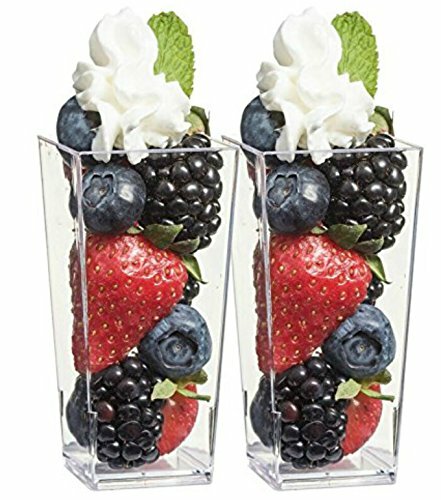 Using fresh cranberries as the highlight, you could also easily turn this mocktail into a cocktail with some creative substitutions. Either way, grab your prettiest holiday and fall glasses and set out something spectacular this fall. Put water and ginger in a large pot and bring to a boil. Reduce heat and add sugar, 1 cup of cranberries, and rosemary sprigs. Cook on medium heat until the mixture starts boiling and becomes thick. Mash cranberries and remove ginger and rosemary sprigs. Pour syrup on the bottom of the glasses. Then add cranberry juice and fill with tonic water on top. 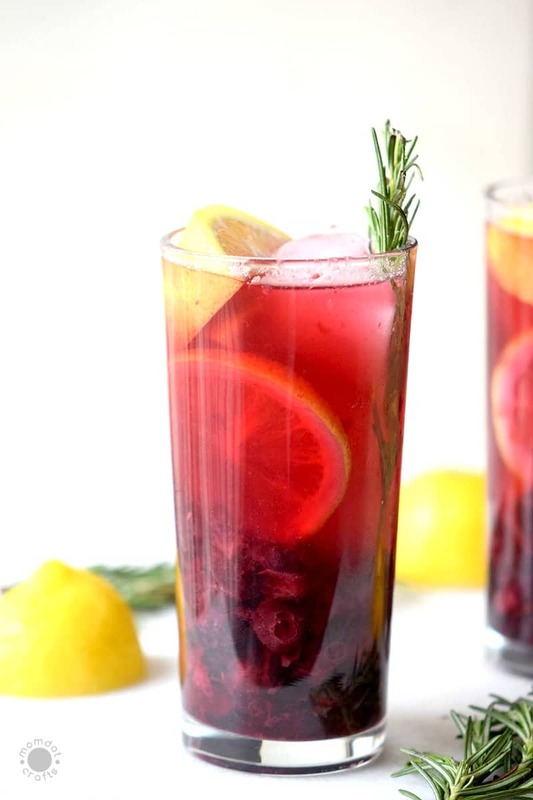 Add a few loose cranberries, sprigs of rosemary, and lemon slices to each drink for a nice look. 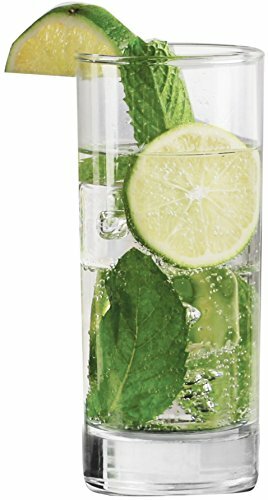 TIP: I love these high glasses for this drink!